Brivis Evaporative Cooling encompasses of a central cooling unit connected to a series of outlets, strategically placed throughout your home. The cooling unit draws in fresh air through moistened pads. As it passes through these pads, the air is filtered and cooled before moving through the ductwork and into your rooms – just like a refreshing sea breeze. When Compared to refrigerated reverse cycle air conditioning, evaporative coolers are cheaper to install, run and fresher. Best of all, it keeps inside your home naturally cool even while your doors and windows are open. This is great for summer outdoor living. Cheaper to install and run than comparable capacity ducted refrigerated systems. Healthier way to cool your home. The air inside your home remains fresh and not re-circulated. Based on a natural process of air cooled by water means evaporative cooling won’t dry out the air. Consumes less electricity than other forms of cooling, making it better for the environment as its greenhouse gas contribution is lower. The uniquely designed Brivis Inverta-Fan™ cools your home faster while maintaining optimum performance and quiet operation, using a broader aspect ratio and greater blade surface. These long-lasting cooling pads are used to maximise cooling efficiencies, varying in size up to 130mm thickness. 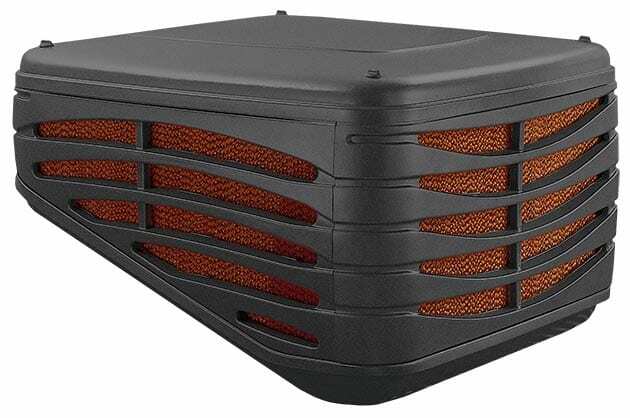 Designed to resist extreme heat and constant moisture the cooler will not rust. The Synchro Drive Pump is designed to self-clean by spinning in the reverse direction to clear blockages. It provides exceptional reliability in extreme conditions. The most economical way to cool your home. 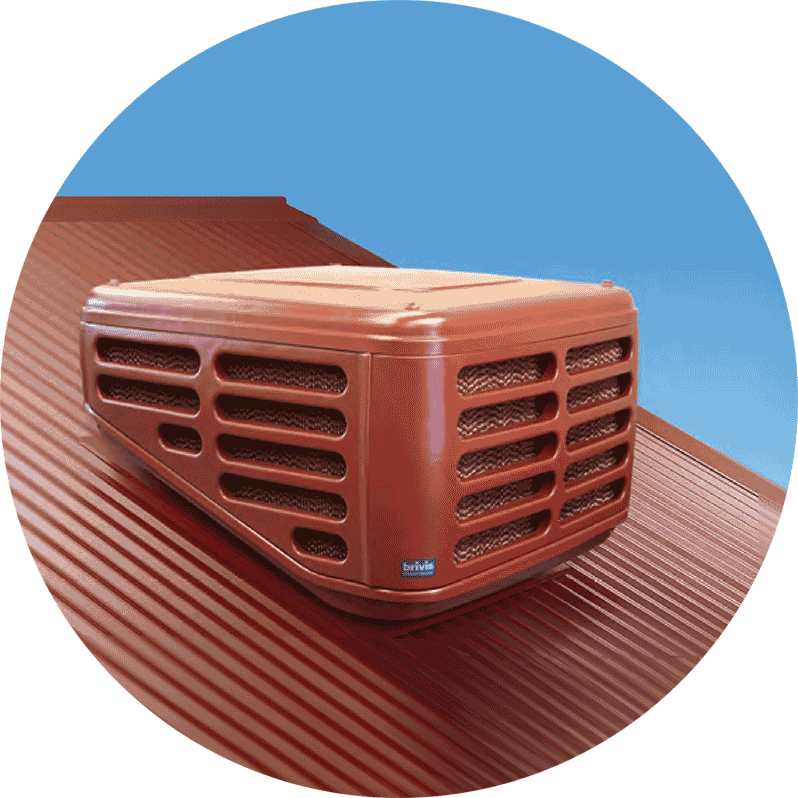 With fresher and natural air, the Brivis Evaporative coolers are cheaper to install and run than comparable refrigerated cooling system. Brivis has been designing and manufacturing climate systems in Australia for over 50 years. The manufacturing plant in Victoria employs hundreds of Australians. 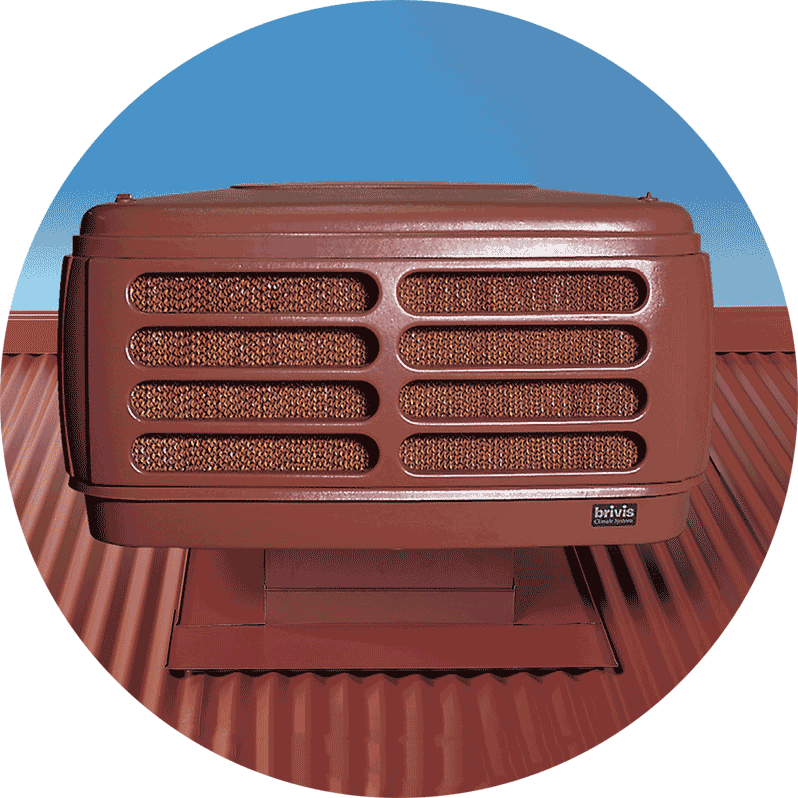 All Brivis Evaporative systems are made to withstand the extremes of the Australian climate. 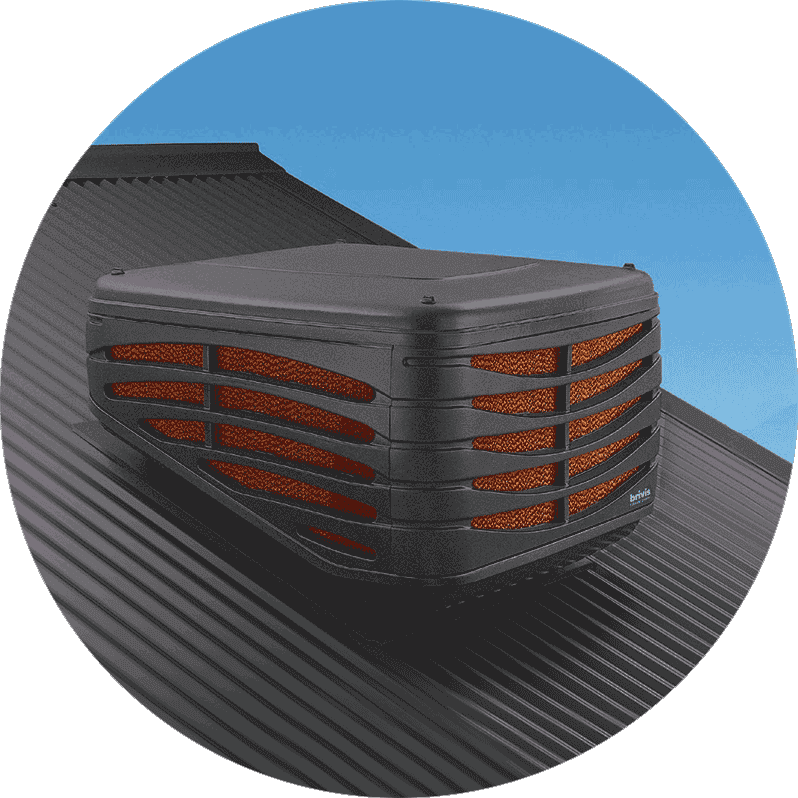 If you’d like to know more about our range of evaporative coolers and evaporative cooling service, please drop into our showroom and see our fully installed, fully operational units in action. If that’s not convenient, just give us a call on (03) 8360 9622 or get in touch via our contact form. "Looming anxiety evaporated when Shiva, the miracle worker, resurrected our 26 year old reverse cycle split system. I had feared we would have to replace it. Shiva was courteous and efficient. He did it! It now works well."